Spanish transcription is not only a piece of multi-page document but also an effective medium to communicate with people. Several industries apply the transcripts to promote different websites, to attract potential customers, and to generate trending topics among social media users. The direction of professional Spanish transcription services is to support different communication needs of businesses and institutions by converting the audio sources into a document format. Generally, a transcription provides easy location of certain details which greatly complement daily activities of many professionals and organizations worldwide. Apart from record-keeping purposes, some portions of the transcript are used as captions, keywords, and images on the web to direct online users to their target destination. How does Spanish transcription contribute to modern-day communication? Reading a transcript rather than listening to an audio source is proven more beneficial to the end users in terms of locating certain information or interesting topics whether printed or online. Spanish transcription demonstrates the systematic process of converting Spanish audio or video materials into written text. Today, the contents of the Spanish transcription are published online to generate strong interests among avid followers, online readers, and even potential clients. Nowadays, Spanish transcribing services help worldwide organizations expand their office operations significantly. Large corporations and service professionals use the transcription for product promotions, indexing, and client interaction productively. With the presence of internet, online Spanish transcription now offers the convenience of getting the information accurately while converting the audience to potential followers or subscribers for many online establishments. Online businesses like transcription providers also increase in numbers, offering clients professional Spanish to English transcription services at competitive rates. Professionals like researchers, journalists, HR managers, and news writers benefit from using Spanish to English transcription services. The transcription provides the necessary assistance by providing accurate information they need to formulate important documents like reports, news articles, business plans, and web contents. Also, many of them prefer to use the transcription as a reference material instead of watching videos or listening to audio records. Cautious selection of the Spanish transcriber leads the success of Spanish to English transcription services. The transcriber is expected to have a strong command on both Spanish and English dialects particularly on specific names, terminologies, and grammar patterns. 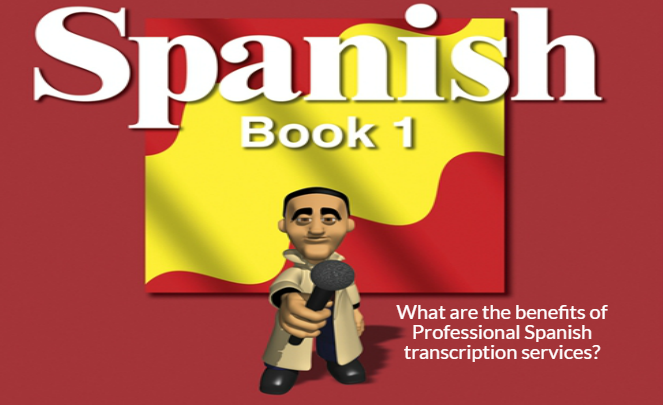 Generally, the Spanish to English transcription services presents the transcription filled with complete details including video or sound descriptions, speaker names, and time codes. Converting Spanish to English transcription provides endless opportunities for professional service companies, working professionals, and online businesses across different countries. Moreover, these essential services will be required in other professional services such as captioning, subtitling, voice-over, and multilingual translation. The primary objective of Spanish to English transcription services is to transcribe the audio or video sources then translate them to English afterward. A lot of professionals often conduct interviews or record actual events as part of their day-by-day routines like in the cases of journalists, police investigators, and medical practitioners. As much as possible, they want these recorded footages, interviews, and testimonials to be transcribed quickly. Acquiring a Spanish transcription is now preferred by most individuals, institutions, and government offices because the textual materials are easier to absorb. Indeed, transcription will always play a pivotal role in keeping these present-day industries advancing fast. Next Post:why audio transcription is important?